Outstanding Nordic Soccer Citizen of the Year. 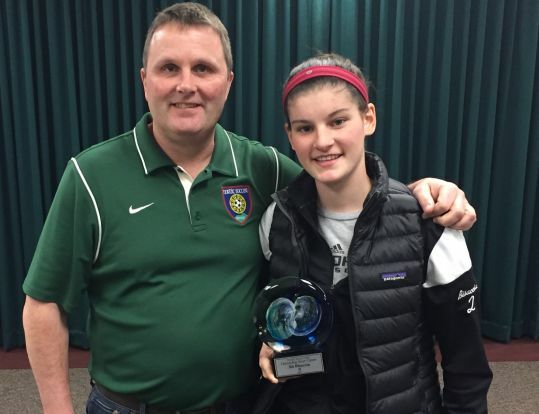 Nordic Soccer is accepting nominations for our Outstanding Soccer Citizen Award. Nordic Soccer is not just about developing soccer players and winning games- our goal is to shape our young players lives with positive, lifelong learning skills that they can take with them into their adult endeavors. We want to recognize our players for any outstanding work that they do outside of Nordic Soccer Club. The nomination link is below. 1. Is a current player for Nordic Soccer Club. 2. Is an excellent role model for Nordic Soccer Club in the community beyond soccer. 3. Is a positive role model. 1.Sportsmanship - does the player demonstrate sportsmanship towards players and officials and be respectful of opponents and the game? 2. Player development - is the player motivated to learn and play to the extent of their ability and play with enthusiasm, creativity and self-confidence? 3. Involvement in Community - Is the player active in the community and positively influence? 4. What impact has the players work had on the local community? What other activities, aside from soccer, is the player involved in? 5. What steps has the player taken to further themselves to create relationships within the community? 6. What significant projects has the player created and implemented in the local community? Awards will be presented at the Nordic AGM on Monday February 19th at the Nordic Indoor Soccer Center. For questions or additional information please contact the Nordic Soccer Outstanding Citizen Award chairperson: Marcel Choquette (marcel@nordicsoccer.org).